Our carpets are often the last thing we think about until it is too late. They get dingy, filthy, and full of dust and mildew, and in the end, we are left with a truly uninviting carpet that just looks dirty. And, of course, you don’t want your house to look dirty. The good news is that you can easily take care of your carpet in the short- and long-term. Maintaining a cleaning schedule and taking preventative steps to care for the carpet can increase the longevity of the carpet itself, but also help you keep your home clean and healthy and guarantee that you are adhering to your carpet’s warranty. The most basic thing you can do to protect the health and longevity of your carpet is to vacuum it regularly. That doesn’t just mean light vacuuming on the weekends. This means having a regular vacuum schedule, especially for high-traffic areas of the household. Not only does this help maintain the appearance of the carpet, it also helps keep dust, pollen, and other allergens from taking root in the fiber of the carpet itself. Make sure that when you vacuum, use one that is clean and well maintained not putting more dirt deeper in the carpet. Likewise, use one that can work with the proper pile of your carpeting without damaging or leaving dirt present. Accidents happen. We spill things on our carpets on the regular, kids run across carpeting with muddy feet, and so on. But the longer you leave spot stains like this sitting, the worse it is for your carpet. When an accident occurs, don’t forego cleaning it. Always remove dirt and debris from your carpet when they are spilt. Clean the area gently, based on the recommendations of the carpet manufacturer. Don’t grind dirt and debris into the fibers. Keep a safe cleaning solution on hand that is compatible with your carpet. Test the product first on a section of the carpet that is not in plain site (or a swatch of your carpet kept from the original installation) to make sure that it will not destroy the fibers or remove the coloring. If you have a major issue or stain, have a carpet cleaner on hand to help properly remove dirt and debris from the fibers. Spot cleaning when accidents happen will extend the life and health of the carpet. Your carpet will remain clean all year round. Even if you have spot accidents, doubling down on annual or semi-annual cleaning will help prevent permanent staining from accidents. Harder-to-remove staining and dirt from foot traffic will not take hold as easy with a carpet that is cleaned regularly. Mold, pollen, and dust ill not take hold of your carpet if you have a cleaner come in and use the proper cleaning techniques to disinfect the carpet. Professional cleaners can also perform a “carpet stretching” procedure. If you carpet starts to bunch up or pull away from the wall, professionals can stretch the carpet, so it fits to your flooring securely. Many carpet warranties also require regular cleaning, with proof of that cleaning, in case you need to file a claim. In these cases, you want to have a professional cleaner doing the work so that you don’t invalidate your warranty. You can also minimize dirt and allergens from sticking in your carpet by following a few basic routines. Institute a “no shoes” policy in your home. If your family doesn’t wear their shoes in your home, then they aren’t going to track dirt throughout your house. Place floor mats at strategic locations, including any place here people enter and exit the home. Use rugs to cover high-traffic areas. These rugs can take some of the brunt of the damage from foot traffic, reducing wear-and-tear. Don’t forget that you should also clean these rugs as well as the carpeted area underneath. There is more than one reason to make sure your carpets stay clean. You’ll want to maintain the warranty on your carpet in case of damage, and you’ll want to have a clean carpet that doesn’t trap pollen, dust, mold, or other allergens. But perhaps most importantly, you’ll want to have a carpet that makes your home warm and inviting. You want your family to be comfortable, and you want your guests to feel welcome. Nothing says uncomfortable or uninviting like a dirty carpet. So, maintain your carpet with regular cleaning. Make sure that you vacuum and spot clean when necessary and take preventative measures to protect your carpet from wearing. 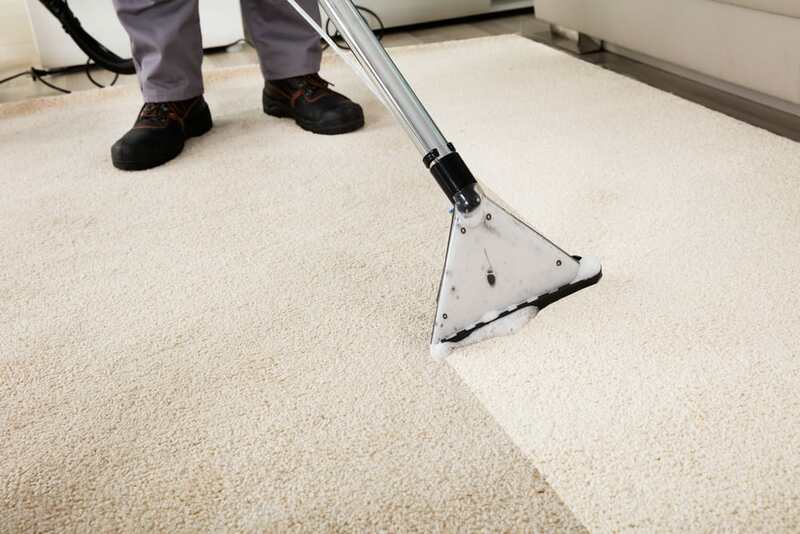 Most importantly, make sure that you have a professional carpet cleaner come in on a regular basis to clean the carpet. This helps keep the carpet clean and disinfected. Your carpet shouldn’t be the last thing on your mind. But, if you take a few easy steps, you can make carpet maintenance easy.